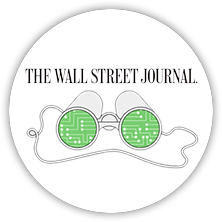 Airobotics was named one of the top tech companies to watch by The Wall Street Journal. Fast Company names Airobotics one of the world’s most innovative companies. Airobotics is one of the “Tel Aviv Tech Startups To Watch In 2018”. Airobotics is one of the 10 hottest startups in Israel and 100 hottest startups in Europe by WIRED UK. CNBC featured Airobotics as one of the 10 Israeli High-Tech Areas Making Waves. Frost & Sullivan recognizes Airobotics with the Global New Product Innovation Award for its completely autonomous drone platform. 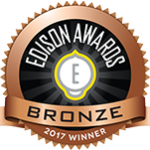 Airobotics wins the Edison Award for its automated industrial drones. Airobotics is selected as finalist by SXSW for the 2017 Interactive Innovation Awards. 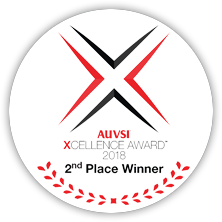 Airobotics is awarded with Xcellence Award by AUVSI for Inspection/Mapping & Surveying. Australian Mining selects Airobotics as a finalist for the 2018 Prospect Awards. Airobotics is selected as a finalist for the 2018 Atlas Awards. Airobotics is one of the 25 featured tech startups in Israel by Business Insider. Tech companies were ranked based on interviews with multiple investors on the ground in Israel and what the firms have achieved. Airobotics is mention in the article “13 things drones are doing besides flying around your yard” by TechCrunch. Ran Krauss, Airobotics’ CEO & Co-founder, is selected as one of the most influential people in the commercial drone industry. Airobotics is included as one of the 10 companies to watch out for at GSMA Mobile World Congress, according to CB Insights. [Hebrew] Airobotics is one of the 50 most promising Israeli startups selected by Calcalist. Airobotics is one of the 21 featured tech startups in Israel alongside companies. Airobotics is one of the Drone-In-a-Box companies to watch. Airobotics was one of 13 startups selected by Startup Guide Tel Aviv. Airobotics is 1 of the 6 things to see at SXSW. Airobotics is one of the featured brilliant tech companies in Israel to watch for in 2017. [Hebrew] Airobotics is one of the companies Geektime would invest in, if they had $100 million. Geektime features Airobotics as one of the 41 most promising startups. Airobotics is one of the 5 Israeli innovations at GSMA Mobile World Congress. [Hebrew] Airobotics is one of the best startups in Israel.